Nissan Kicks will launch in January 2019. Same time when the Tata Harrier will launch. 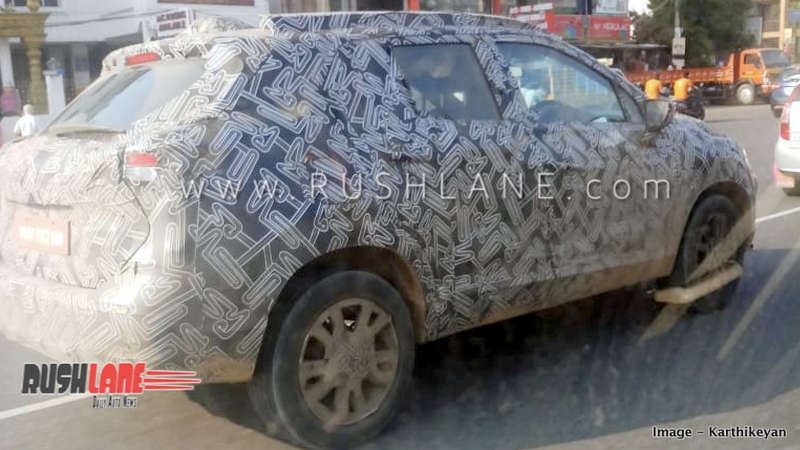 Hat tip to automotive enthusiast Mr Karthikeyan for sharing these exclusive spy photos. Nissan recently showcased its Indian-spec Kicks, but it was only to highlight its exterior details. Engine specs and interiors are yet to be officially revealed by Nissan. In the meantime, the SUV continues to make test runs. Indian-spec Nissan Kicks utilizes the B0 platform, which is different from the V platform used in global-spec Nissan Kicks. Indian version is much larger, having length 4,384 mm, width 1,813 mm, height 1,656 mm and wheelbase 2,673 mm. 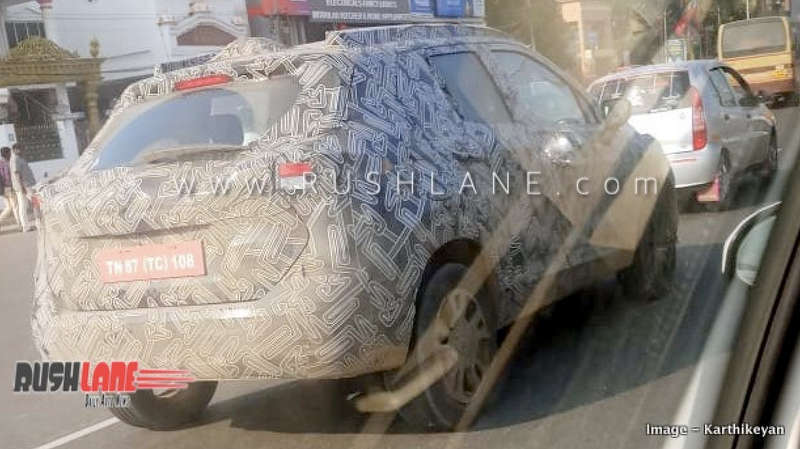 Nissan Kicks Indianized version will have both petrol and diesel variants. Petrol variant will be powered by 1.5-litre H4K, 1498 cc, 4-cylinder in-line NR engine that delivers 106 PS power and 142 Nm torque. Petrol engine is mated to a 5-speed manual or CVT unit. Kicks diesel variant will have the K9K 1.5L, 1461 cc, 4-cylinder in-line NR engine that outputs 110PS/240Nm. It will be mated to a 6-speed manual or 6-speed AMT. However, don’t expect AWD option, as that may not be available in Indian-spec Nissan Kicks. Upon launch, it will take on the likes of Hyundai Creta. Speaking about feature highlights, Nissan may introduce Around View Monitor (AVM) with Moving Object Detection in Indian-spec Kicks, which will be a segment-first feature. This will be in line with international version of Nissan Kicks that will also be getting Around View Monitor. AVM is a safety system that is designed to improve the driving experience. It utilizes 4 cameras, two placed in the front corners and two at the rear corners. It provides a 360° view of the outside environment, something that makes it easier for the driver to take stock of things and people located near to the car. Driver can view close-ups of the front, rear and side views using the split-screen mode, which makes things even easier. AVM is designed to start automatically when the reverse gear is engaged. It can also be switched on manually. It has an automatic alarm system that warns the driver in case a moving object is detected by the camera sensors. Since this is a highly advanced system, it is likely to be available only in the top-spec variant.